Dubai: Two of Dubai’s oldest mid-market freehold communities are still offering investors the best yields — International City (with a fairly robust 9.65 per cent) and Discovery Gardens (at 9.2 per cent). It remains the case even with the rental declines freehold communities in Dubai experienced all through last year, according to data from Reidin-GCP. “Even though yields in both areas have fallen slightly on a year-on-year basis (reflecting falling rents for the year), they remain the highest income generating assets,” said Sameer Lakhani, Managing Director at the consultancy Global Capital Partners. “This does not come as a surprise, as structurally speaking, there has always been a trade-off between capital gains and yield in Dubai real estate since the advent of freehold. “These areas were always in high demand from a tenancy perspective, and this has been one of the reasons why they have attracted high levels of investor interest.” Yield calculations are pretty straightforward — divide what a property generates as rents (minus such sundry costs as maintenance costs, etc) by the value of the property. At a time when Dubai’s freehold market is yet to get back into a sustained turnaround phase, and which would then lead to higher property values, yields are what counts for investors. And they seem to seeing optimum returns in the mid-market, as is the case with International City and Discovery Gardens. 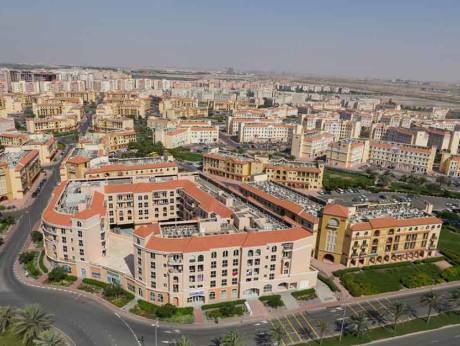 The city’s emerging mid-tier areas where yields are likely to be higher than the average are in the Dubailand communities Arjan, Majan and Liwan, as well as Al Furjan and Dubai South. (Investors are already vesting a lot of expectations in Dubai South’s prospects. There are anecdotal tales of existing property owners in International City or a Discovery Gardens exiting their assets and then signing on for the off-plan launches that took place recently in Dubai South.) So, how do the upscale destinations measure up in realising optimum yields for its investors? A property in Downtown could be generating 6.06 per cent now while the Palm’s would be around 5.85 per cent, according to number crunching by Reidin-GCP. But it’s Dubai Marina that tops the high-income areas with the highest yield-generating prospects. Dubai’s original freehold cluster has a yield of 6.92 per cent. (But there has been some erosion given that in 2015 it was at 7.20 per cent. However, “given its seaside location, it remains an attractive destination for investor capital, a factor that will undoubtedly gather momentum now with the announcement of the Dubai Harbor project,” said Lahkani.”) Going forward, will more investors be convinced that Dubai realty offers them the kind of yields they are looking for? For overseas buyers, will factors such as a strong dollar or a weakening currency such as the pound, rupee, rouble or the yuan force them to go easy on acquiring realty assets here? From a pure investor perspective, 2016 saw them sitting on the sidelines, a fact that will be underscored when the full-year transactions data for Dubai properties gets released shortly. The market is hoping that this year will prove a contrast. What is ‘fair value’ in Dubai realty?